Central Oregon’s largest quilt shop, BJ’s Quilt Basket has been in the business for a long time. In their 6,500 square-foot store, they stock a wide variety of quality quilting fabrics (over 7,000 bolts from more than 30 brands! ), including a huge selection of batiks, an extensive “color wall” selection of blenders and a large number of designer, contemporary and reproduction lines. They also carry a wide array of pre-cuts, notions, patterns and books. Their friendly staff is enthusiastic about sharing information and guidance and would love to show you around. 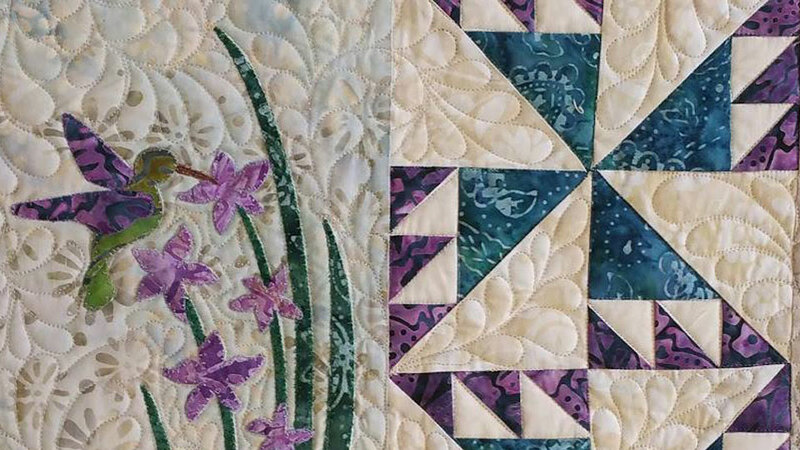 Located near the Bend Factory Stores, BJ’s offers a wide-ranging array of classes, from ‘Thumbnail Thursday’ mini-quilts to weekend retreats to beginner’s paper piecing classes. In July, they host a “festival of classes” with multiple instructors and classes each day. If you don’t pick up all you wanted while you were in the store, you can also access their wide selection online.